Riding the Storm Out: Wall Street&#39;s Demise and Stock Market Crash, After the Subprime Crisis.What Can You as Investor Do Now? 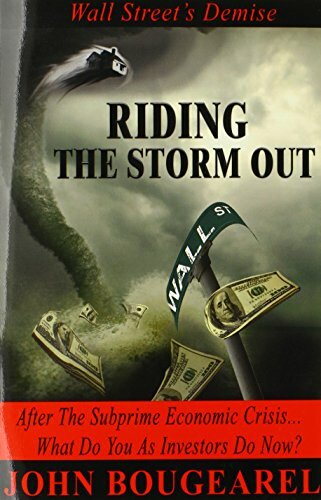 Riding the Storm Out is one of the first books on the credit and subprime/foreclosure crisis that led to the collapse of the financial system, the global economy, and crash in the world stock markets. This epochal phase of our financial history has been chock full of unimaginable events. The unexpected twists and turns read more like fiction (if only they were) than non-fiction, and the stock market gyrations we experienced rivaled any roller coaster in the world! Riding the Storm Out shines the light on one of the darkest hours in American history and is presented in a lively format that is both educational and illuminating. The story begins with the climactic crash on Wall Street, its impact on Main Street and the real economy, then weaves its way back to where the credit crisis began in early 2007. The collateral damage from the crisis has been extensive, so financial and economic recovery will be a prolonged event. Because of this, Riding the Storm Out examines the substantive issues and challenges Americans will face as a nation of taxpayers, investors, and retiring baby boomers over the course of the next five to ten years and what must be done to secure our future. Riding the Storm Out will serve(s) as an excellent resource for historians and students of American economic history.